AR500 Armor® Auxiliary Body Armor further enhances your protection. 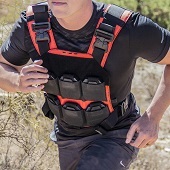 Our Auxiliary armor systems are designed to be modular and integrate into your existing plate carrier and armor system. Compatible with all of our body armor and trauma pads, the choice is yours to find the perfect balance of protection and mobility.